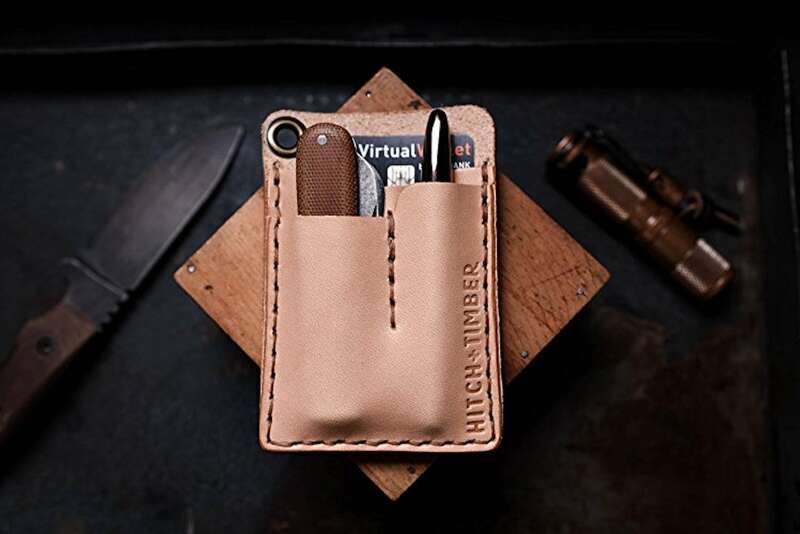 Carry just what you need with the Hitch & Timber EDC Leather Card Caddy. 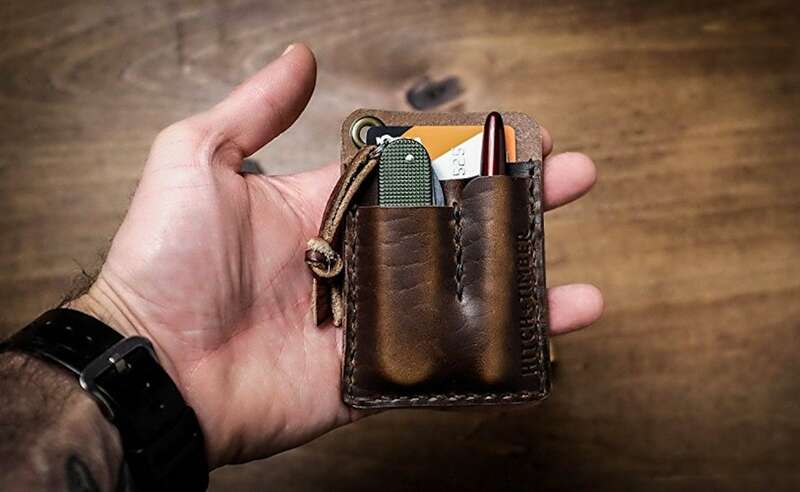 This wallet has enough space for the essentials and nothing more. 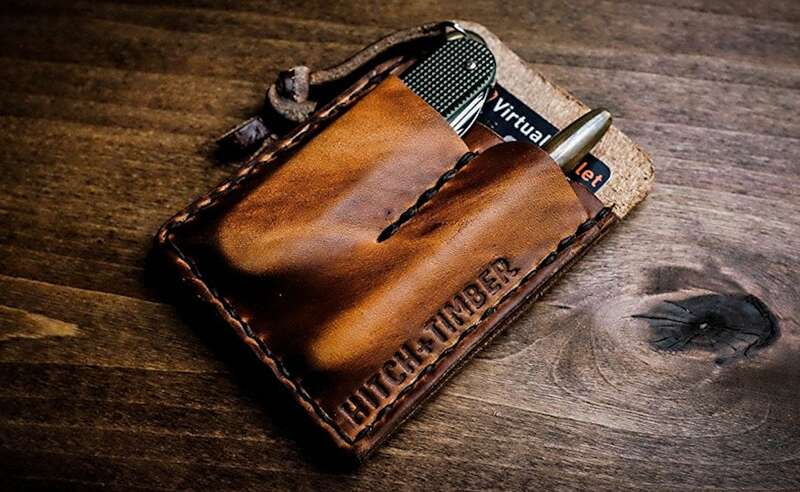 Carry just what you need with the Hitch & Timber EDC Leather Card Caddy. 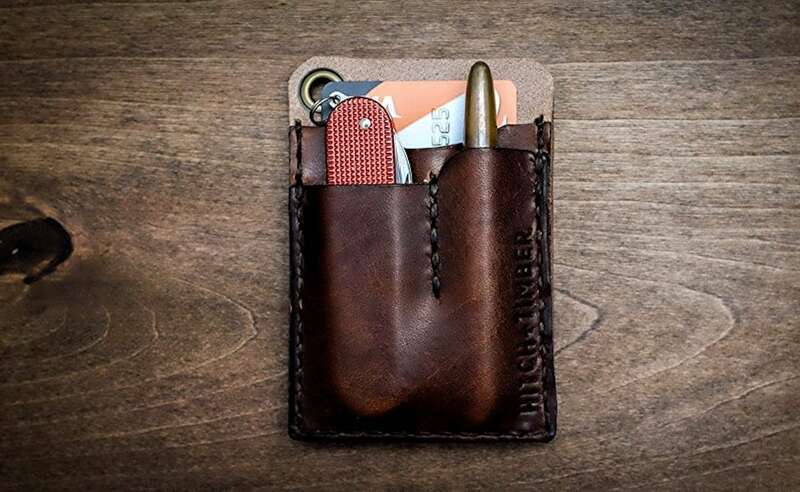 This wallet has just enough space for the essentials and nothing more. 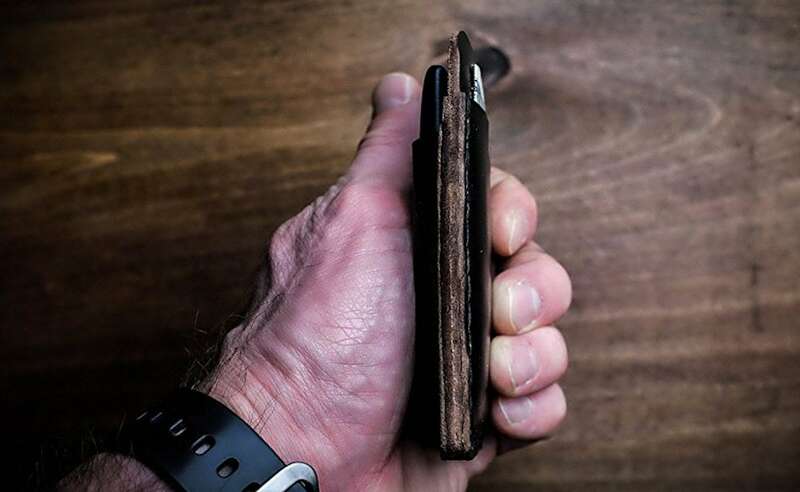 Featuring beautiful Horween leather in five different colors, the wallet achieves a rustic and durable design. 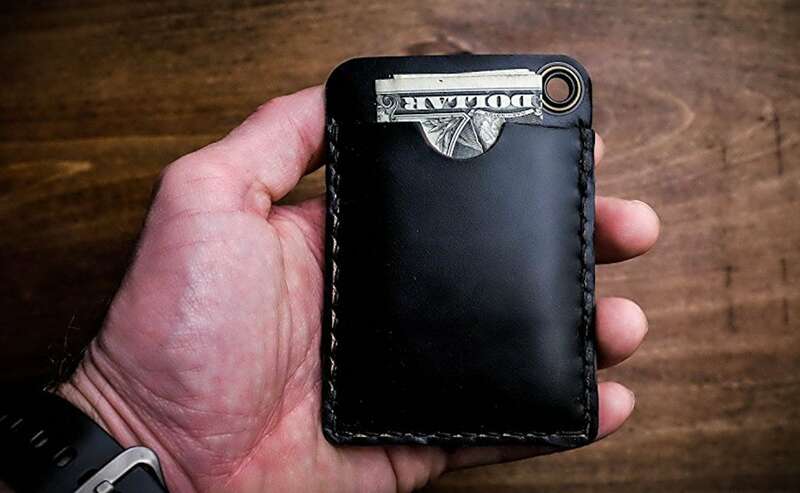 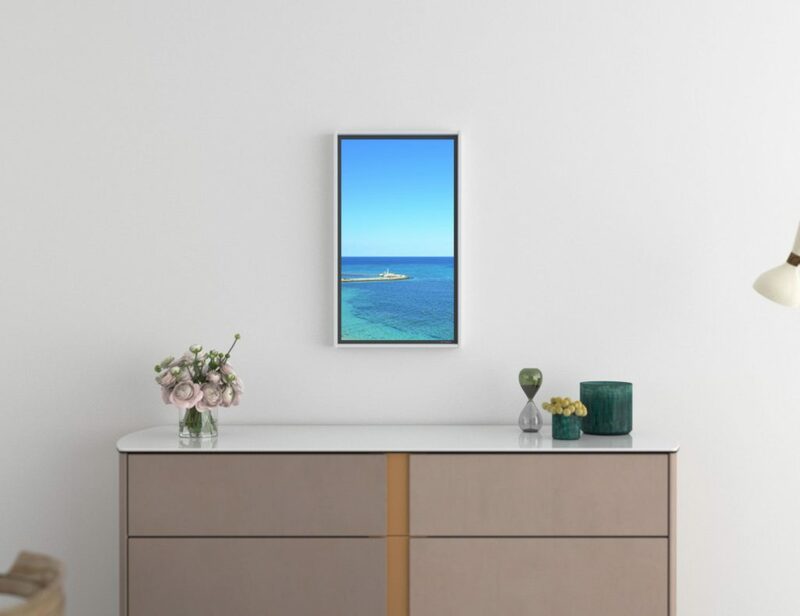 On the back is a slot to fit anywhere from one to six of your cards. 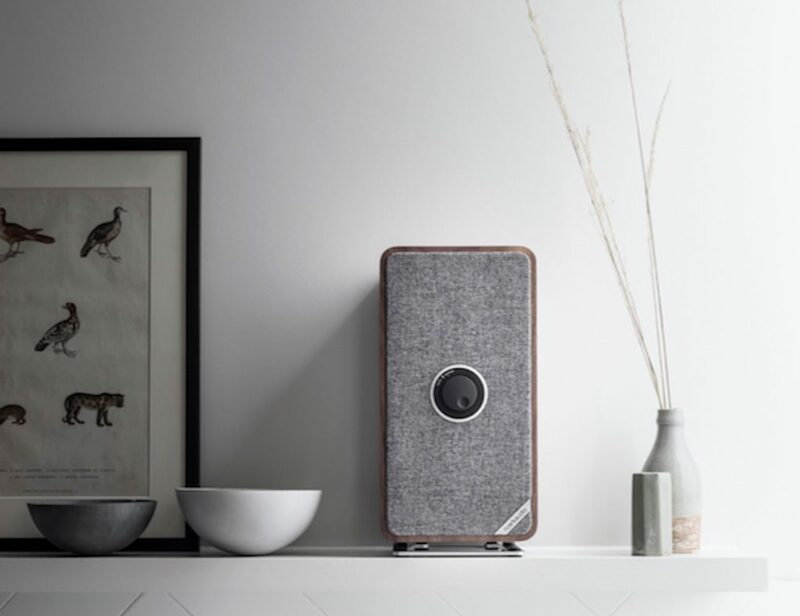 In addition, the front is divided into two sleek slots for extra goods. 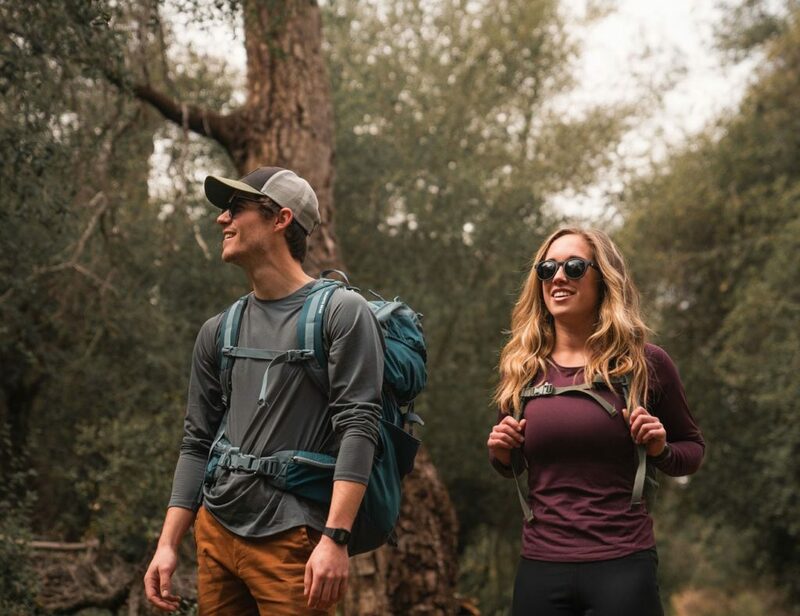 On the left is a pocket for your compact pocketknife. 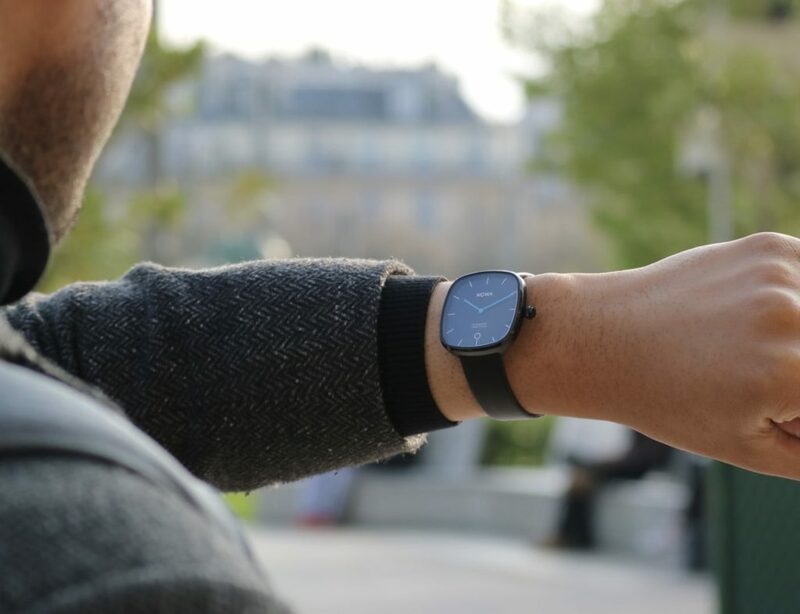 Specifically, it has enough space to fit a Swiss Army Cadet or a Buck 55. 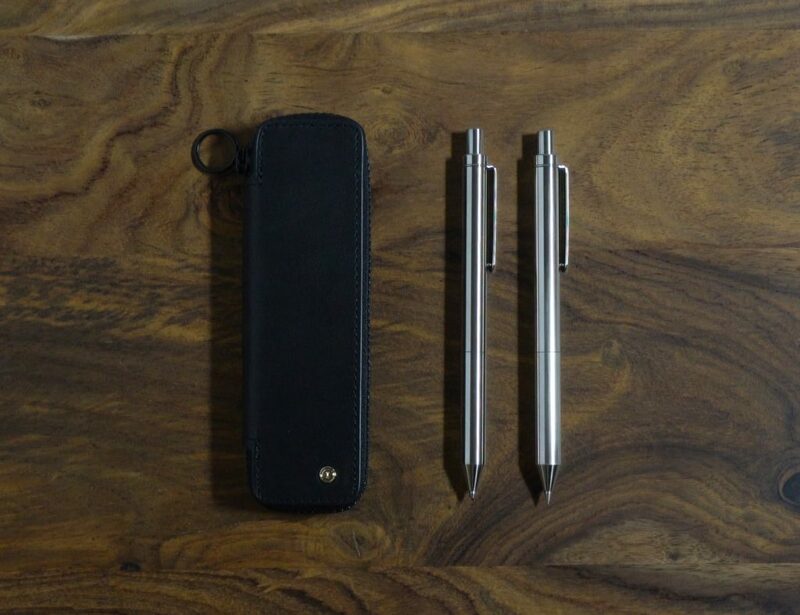 On the right side is an even slimmer pocket to stash a Fisher Bullet Space Pen. Or, you can choose a compact pen of your choice. 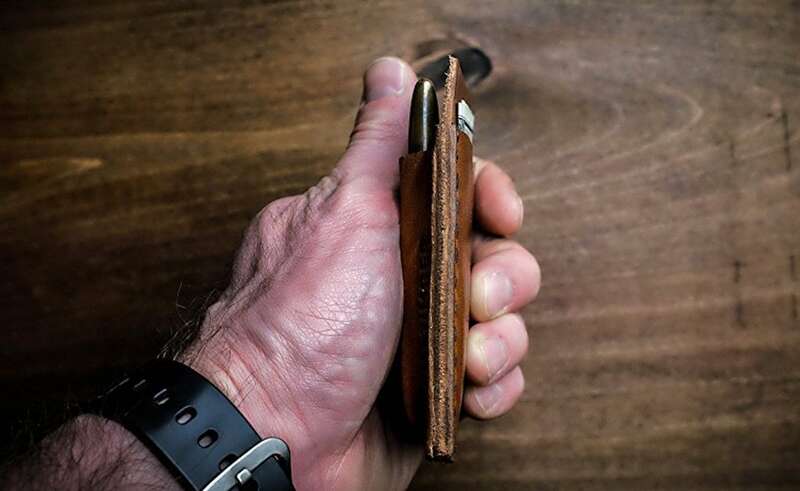 Of course, with most leather designs, this wallet will age beautifully over time to become as unique as you are.